Blog So Why The Feather? We’re often asked why there is a feather in our logo, the feather has been used by many cultures old and new! Below are just a few of the symbolic meanings of feathers. Symbolism of feathers often refers to ascension and spiritual evolution to a higher plane. Feathers were worn by Native American Chiefs to symbolise their communication with Spirit, and to express their celestial wisdom. Also in the Native American Indian culture, feathers represented the power of the thunder gods, along with the power of air and wind. Native American Pueblo Indians would pay homage to the Feathered Sun which is a symbol of the cosmos and the centre of existence. Another symbol meaning of feathers also revolves around prayer, and the Pueblo use feather sticks as they dance in prayer for rain during solstice rituals. In Celtic symbology, the feather was worn by Druids in the form of ornate feathered robes. Celtic Druids donned these robes in ceremonies to invoke the sky gods and gain knowledge of the celestial realm. It was believed that the feathered cloak along with the presence of the sky gods would allow the Druid to transcend the earthly plane and enter the ethereal realm. In Christianity feathers represented virtues. In fact, an image of three feathers were made into signet rings – each feather symbolising charity, hope, and faith. These rings were worn as a symbol of a virtuous soul – they were also used as wax seals. The ring would be dipped in warm wax then pressed against documents to seal the closure. The recipient would know the documents came from a virtuous man by the indication of the three-feather symbol in the wax. 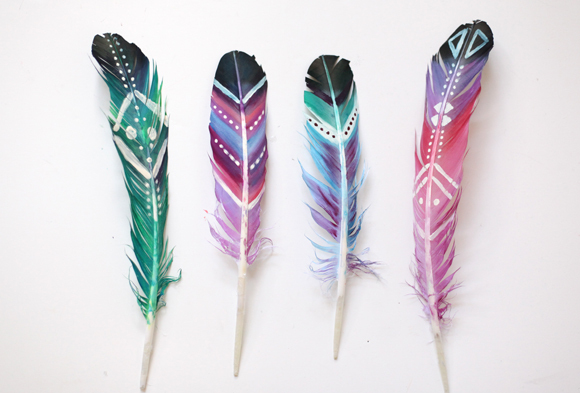 In dreams feathers mean travel or the ability to move more freely in life. White feathers in dreams indicate innocence or a fresh start in a spiritual sense.